The company made its decision shortly after Wired magazine revealed that a Jeep Cherokee could be hacked remotely. Charlie Miller and Chris Valasek, two security experts, took control of the Cherokee trough its UConnect entertainment system. They could activate the brakes, steering, windshield wipers, transmission and entertainment system. 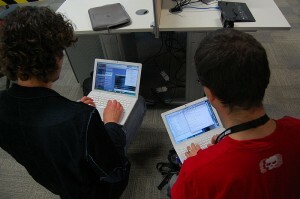 Although it was just a demonstration, the two well-known hackers highlighted the vulnerability of the security system. Shortly after it was revealed how vulnerable the security system is, Fiat Chrysler announced it would contact the owners of more than 470,000 vehicles and offer them software updates in order to fix the problem. The vulnerability disclosed by the hack drew the attention of government safety regulators and they urged the recall. The National Highway Traffic said in an official statement that it has launched an investigation so it can closely monitor the recall and ensure all vehicles that could be affected will be covered. The two security researchers Miller and Valasek have spent years investigating car security systems and claim that they have told Fiat Chrysler about the vulnerability of the security system several times since last October. The first-of-its-kind recall affects cars and trucks equipped with 8.4-inch touchscreen in-car entertainment systems including Dodges, Jeeps, Rams and Chryslers.